Vegetables and I have not been fast friends over the years. I enjoy their company when they’re accompanied with cheese or if they’re prepared so exotically that they coax me into trying them. If they’re in season, at their peak of popularity, I’ll throw a few vegetables in the shopping cart. But we’re not best buds. Peas, according to school lunch, are vegetables, but not to the Diabetes Exchange Diet. Same went for corn and potatoes. 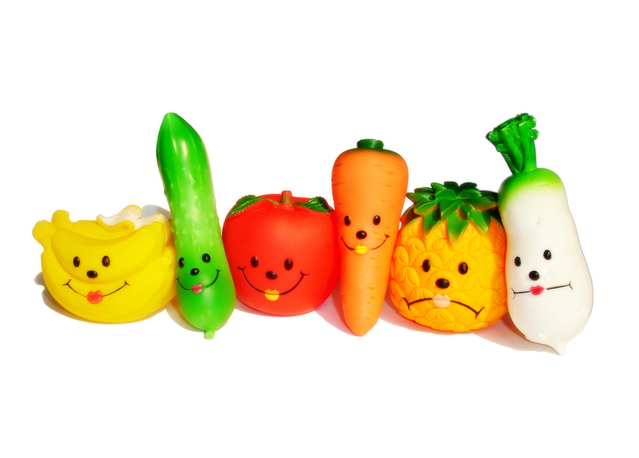 Vegetables I liked as a kid. Vegetables that I ate. Now, I had to choose between a piece of bread and a 1/2 cup of corn or peas? Bread won every time. I loved V-8 juice, so my vegetable portion was often chugged on the way out the door… if at all. But I’m older now. Wiser. I’m trying to cook more (and in doing so, blew up my stove, but I don’t think it was my cooking…) and from scratch. We’ve had hits and misses, but I wanted to switch it up a bit. My fingers practically tripped over themselves rushing to order Thug Kitchen so I could, as they put it, eat some goddamned vegetables. This cookbook has no meat, no eggs, and no dairy in any of the recipes. I’m cool with that, but some people might not be. 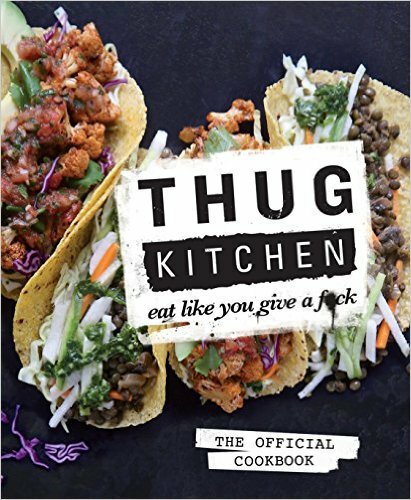 What is in abundance is profanity, so if you’re not cool with that, this cookbook might not be for you. In the few weeks that Thug Kitchen has been in my possession, I’ve made some small changes to what I eat that have made an impact on my daily diabetes management: one involves vegetables and the other doesn’t. It was almost like a vegetarian Dr. Seuss Green Eggs and Ham question : “Would you try a green smoothie?” Neither of us seemed thrilled, but neither of us would admit it. We followed the recipe (which involved spinach, lots and lots of spinach) and lo and behold, much like Sam I Am’s friend… we loved it. And most importantly, it didn’t spike my blood sugars like I thought it would, even with the addition of fruit. I think that all my previous smoothie attempts in the past failed because I used regular milk and yogurt. This recipe? Filling and no spiking. I broke our old blender because I’ve been making so many smoothies. (Wait… I blew up the stove, broke the blender…is the universe trying to tell me something?) We got a hefty, hearty, Sons of Anarchy strong blender replacement. Breakfast or lunch, I’m getting veggies in a swirly concoction. I have long been a “get a coffee in me before I can function” individual and that’s usually the extent of my breakfast. (Yes, I know. Bad.) But I know exactly how much to bolus for how I like my coffee and no spike. Everything else is a toss-up until now. I’m not shilling the cookbook. I’m talking about how I’m slowly thugging my diabetes. Making small changes to my diabetes management over the last few months has been eye-opening. Different ways to bolus, to eat, to include yoga and some very mindful mediation, down to adding a medication that I never thought I would. And the result? The lowest A1C I’ve had in years and not a single severe hypoglycemic episode in the last few months. We aren’t meant to act like a major organ 24/7/365. (Well, some people can act like a big glutenous muscle…) We weren’t meant to calculate and regulate and feel guilty if we don’t get it right. I’m thugging my diabetes, small change by small change. All of us can thug diabetes, whether it’s making a conscious decision to eat more veggies or walk a little further (or start to walk!) or try something different. What works for me may not work for you, but what works for you might work for someone else. How are you thugging your diabetes? What do you want to try? I’d love to hear from you! Get Paid for Having Diabetes? Yes, Thank You. Words are powerful. They’ve started wars, brokered peace, shared secrets, and molded opinions. It’s well documented that the most powerful advertising is a testimonial from someone who has used a product or service. It’s even more powerful when the individual is not compensated for their opinion. However, I do get cash for my opinion when I answer a survey through YourCareMoments. So, I’m writing about it. I believe that YourCareMoments can benefit us. Last summer, I was contacted by Zitter Health Insights about a survey service, YourCareMoments, that pay patients with diabetes for their thoughts and opinions and habits. I was told that the surveys would take between 5 to 10 minutes to complete and that I would get paid by PayPal a few days after I completed the survey. Hmm, I thought. Is this a sham? Would I have to give up really personal information that can be tracked back to me? Would I waste time filling out a survey and not get paid? Anonymous surveys are sent to registered patients (it’s free to sign up) about healthcare experiences and decisions. They pay a few dollars per survey. They ask for information (like when you are visiting your doctor or picking up a prescription) and then contact you to ask questions. No personal data is taken (no names or addresses) and the only thing they need from you (besides your opinion) is your email address to send your payment. I’ve done it since last summer. They’re ramping up, wanting a larger group of patients, and they contacted me again, asking for help. Because I’ve done it (and it didn’t make me feel dirty or violated), I feel comfortable sharing the link with you. You must be living in the U.S. and be eighteen years of age or older. Who is Zitter Health Insights? Zitter Health Insights is a healthcare research firm that assists life science companies with issues related to product access, reimbursement, and managed markets. What does that mean? They collect data from us and then they provide that data to other companies (pharmaceutical companies, insurance companies, etc.) to help them make decisions about products, co-pay or coupon/card programs, or our overall attitude about a product or service. 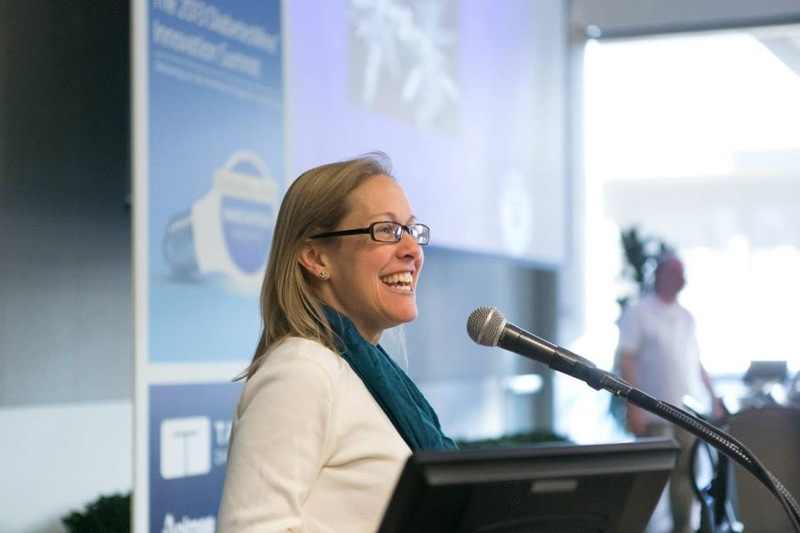 They don’t just do this for people with diabetes; they handle over 150 “therapeutic areas,” asking opinions from many other types of patients. Why do I think you should sign up? You help the healthcare industry know what you value and what your opinion is about your life with diabetes. They learn what we want and need. You get paid for your opinion. You know how I feel about empowering ourselves as patients. If we don’t give our opinion, speak our mind, learn about how we can be part of the solution, then we can’t help. And get paid for your opinion? Duh. And I got paid every time I completed a survey. You have everything to gain. Let your diabetes voice work for you for once. Register for free by visiting: www.yourcaremoments.com. This is not a sponsored post. I did not receive any money or any free services. All of what I said is my own opinion about this service. I recommend it for free. You grab a pack of gum at the checkout counter. It’s an impulse purchase and you don’t think about it. It’s a snap decision, made right then and there. 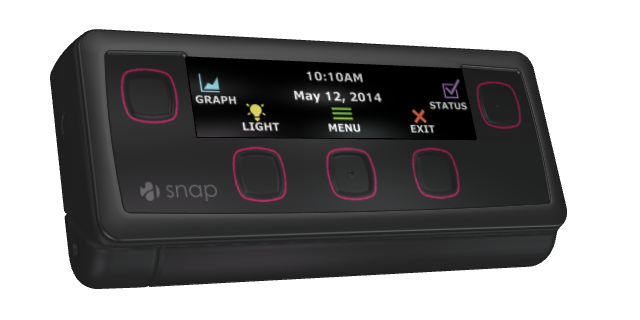 Choosing an insulin pump is anything but a snap decision. You research all of your options, talk with other people who wear pumps, weigh the pros and cons of each pump, and of course, find out if insurance will cover your pump and supplies. In my case, my insulin pump choice was a snap decision. With a capital S.
After my warranty expired on my previous pump (Of course, it was pining for the fjords five weeks later.) and an opportunity to try the next generation of that company’s pump, I recognized that I needed to do further investigating. I’d only worn two brands of insulin pumps in the over 15 years of pumping. I am still happy with the choices I made back then, but back then, I didn’t have a lot of choices. I cheer the fact that we have more choices now when it comes to insulin pumps and continuous glucose monitoring devices. Each pump and CGM has its strengths and weaknesses, which of course, means that some people will choose them based on their own needs, wants, and desires. 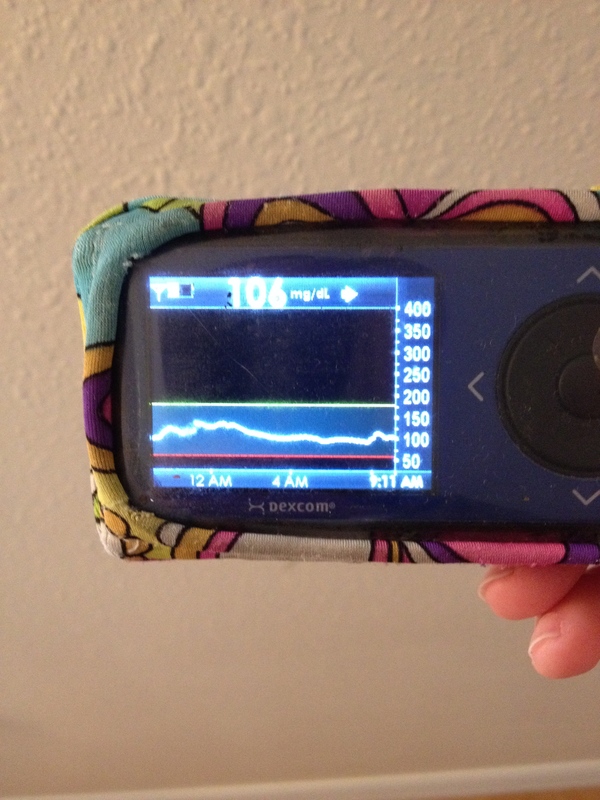 Here’s why I chose the Asante Snap Insulin Pump. You can’t “test drive” a piece of gum. You buy it and if that new flavor isn’t what you wanted, you throw it away or foist it off onto someone else. It’s gum, right? Costs a buck? Pshh. Get outta here. But it’s rare (or in some cases, impossible) to test out an insulin pump. This device is going to be a part of your life for a hopefully good, happy, healthy long time. And it’s not cheap. You choose a pump based on what you think it will do for you, go through the hoops (and oh, are there big, flaming hoops!) to get approval from everyone involved, only to find that… you hate it. I know some individuals who have returned their insulin pumps before the “trial” period is over, but it’s a big, ugly hassle and insulin pump companies don’t make it easy. Asante gets that you should be able to take a pump for a test drive. Feel the rich Corinthian leather seats. Determine if what you want is what you actually get. They offer everyone who is interested in trying the Asante Snap pump a four-week free trial, including supplies, training, and support. I got to sit in the driver’s seat and go for a long drive. I wish all pump companies would do the same. No More Rebel Yell Time In Range! The four-week free trial is one thing. It’s another thing entirely when you discover that by not changing a single basal rate or bolus factor, that your time in range with your blood sugar skyrockets. (And when I say skyrockets, I mean supersonic space age shiny skyrockets.) Having the luxury of a Dexcom CGM allows me to see how my blood sugars play nicely (or not nicely) during the day. I was doing a lot of Billy Idol hair spikes. Without changing my eating habits or dosing timing, I saw spikes turn into smoother lines and when I downloaded my Dexcom (Finally able to do it on my Mac! ), I was shocked. 80% time in range (for me, range is 70 – 180, but I’m already tightening the higher end). Less lows. Less highs. All of a sudden, I wasn’t exhausted at the end of the day, chasing the blood sugar dragon. My head was clearer. I had energy. I thought it was a fluke, but after almost 8 weeks on this pump, I’ve come to realize it’s two things: the Asante Snap pump algorithm and the pre filled glass cartridges making this happen. I can’t take any credit for better blood glucose levels. The pre-filled glass cartridges not only help the insulin not degrade and lose potency as quickly as the plastic cartridges I once had to fill; it also cuts down on the time I used to fiddle around with pump set-up. Doesn’t seem like a big deal, right? It’s a big deal. You get that I’m a two-minute sort of woman when it comes to diabetes. Instead of the elaborate ritual of drawing up the insulin into a plastic cartridge, checking for bubbles, filling the tubing, checking for bubbles, priming the pump, checking for bubbles, I drop the cartridge into the pump body and it auto primes. In two minutes, I can complete an insulin pump set up, including a new insertion set. All that extra time I have now? I can rock out. It’s the little things. A customizable color screen. A built in flashlight on the pump for those early morning BG checks. A missed bolus calculation if you stop your pump for a shower. (I never realized how much insulin I had missed even disconnecting for 20 minutes.) The ability to set alarms to NOT go off at 3am to wake you up to remind you to change your cartridge. Some people prefer an integrated CGM and insulin pump. I tried it. I’ve come to realize that I’m a Dexcom chick, tried and true. The other pump company with an integrated system has not yet updated its algorithm for increased accuracy. Plus… here’s the thing: The Dexcom G5 screen will be accessible to view on my iPhone I won’t even need to look at my pump to see my CGM graph. 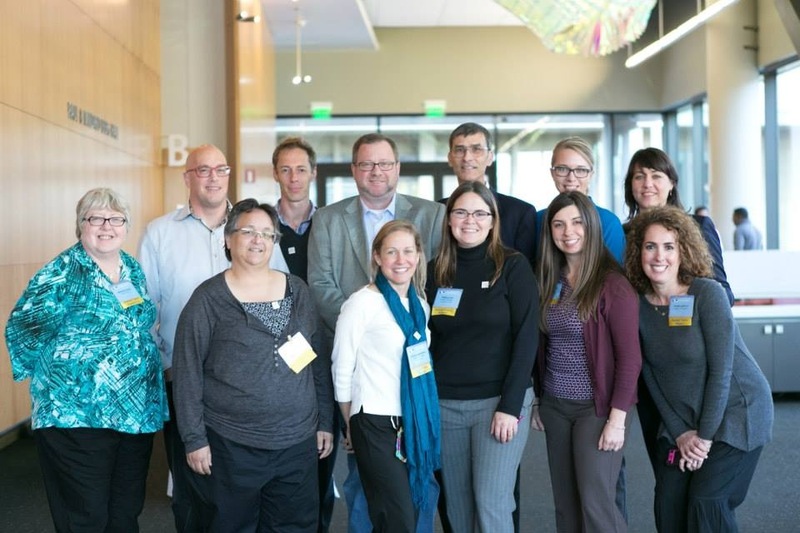 When I was at AADE last summer and saw a glimpse of the future with Asante Snap (I sat next to Wil and we got to ooh and ahh at the demonstration, they announced not only would they be partnering with Dexcom for future upgrades, but they were the first company hooked up with Tidepool. (And you know how much I love them!). And then they blew everyone’s socks off my demonstrating bolusing the Asante Snap from an iPhone. I’ve never had a remote bolus device. I am totally ready for this. And when it does happen, it won’t cost me an arm and a leg (or a pancreas) to upgrade, because upgrades are $99. Straight. No chaser. No insulin pump is 100% perfect. (If it was, it would be called a pancreas and this blog wouldn’t exist.) I do miss the vibrating alarm option I had on my previous pump. I am a little jealous of other pumps that do have remote bolusing devices. I am a lot jealous of the current integrated pumps and CGM systems that work well. And I can’t upload my data at home; Asante currently uses the clinic version of Diasend. I’ve talked with the management team at Asante. I’ve asked questions about their future models. They listen (and they even have a patient advisory board so they can get feedback). I see the Asante Snap becoming more perfect soon. Oh… that time in range. That blissful time in range that makes me feel more rested, less stressed, and looking forward to getting my A1C done. That makes it all worth while. My new time in range makes my diabetes management easier and less about diabetes and more about me. Best Snap decision I’ve ever made. I talked to Asante so much and gushed about how much this pump has improved my life that I’ve agreed to enter into a consulting agreement with Asante Solutions to write about my experiences pumping on their website. Please check the updated About page for disclosures. Remember: My thoughts are my own. No one can make me write what I don’t feel or believe in on this blog. In fact, I get zero compensation for this – or any – blog posts on this blog. This is MY blog. MY words. MY thoughts. You get to read the uncensored version – always.